Peru is a country that should be on everybody’s short-list of places to visit. When the Spanish first arrived in 1528, their first impression was one of savage cannibals and barren beaches. After journeying inland through lush river valleys, ochre deserts and over the snowy passed of the Andes, they realized the scope and importance of the Inca Empire. This empire, at the time the most advanced in the world had cities, with temples, highways rivaling those in Europe and most importantly, Gold. This set the stage for centuries of Spanish occupation and ultimately the conquest and demise of the empire. Peru today boasts numerous pre-Colombian ruins that are some of the most spectacular historic sites anywhere in the world. Peru is an amazing country. While most people know the country as home to Machu Picchu, there’s a lot more to see and do here. Here are our favorite highlights of this fascinating destination. Peru today offers visitors the best, most varied and most interesting cuisine in Latin America, and many travelers return home with fond memories of a surprising range of exquisite flavors. Food is very regional here – the Pacific coast has some excellent seafood, the ceviche in Lima is particularly delicious, while the Andean region offers more rustic fare based on corn, potatoes and meat from Andean animals. Alpaca in particular is usually excellent, as is the trout commonly found in the highlands. For those with more adventurous tastes, cuy (guinea pig), either roasted or fried is an interesting option. 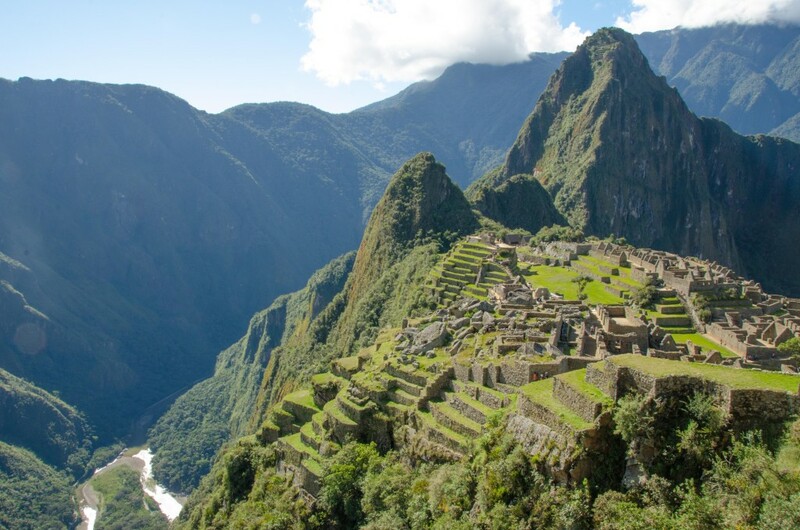 Steeped in history, Peru is home to some of the most impressive historical sites in the world. From the enigmatic Machu Picchu, to the mysterious Nasca Lines, the country is filled with historical monuments, attractions and ancient sites, rivaling Mexico for Latin America’s number 1 destination for history lovers. Peru’s culture is perhaps the most interesting aspect of the country. The people, descendants of Inca and/or Spanish settlers give a fantastic depth to the country for visitors. With colorful markets everywhere, and warm, friendly people, visitors can’t help but be impressed with the culture of Peru. All over the country people dress in traditional and colorful clothing which adds a wonderful dimension to interacting with locals here. Famous for being the highest navigable lake in the world, Lake Titicaca is an impossibly blue, huge expanse of water, over 100 miles long and 40 miles wide that seems more like an inland sea than a lake. At over 12,500 above sea level, the lake is surrounded by the snow-capped peaks of the Andes and Bolivian Altiplano. 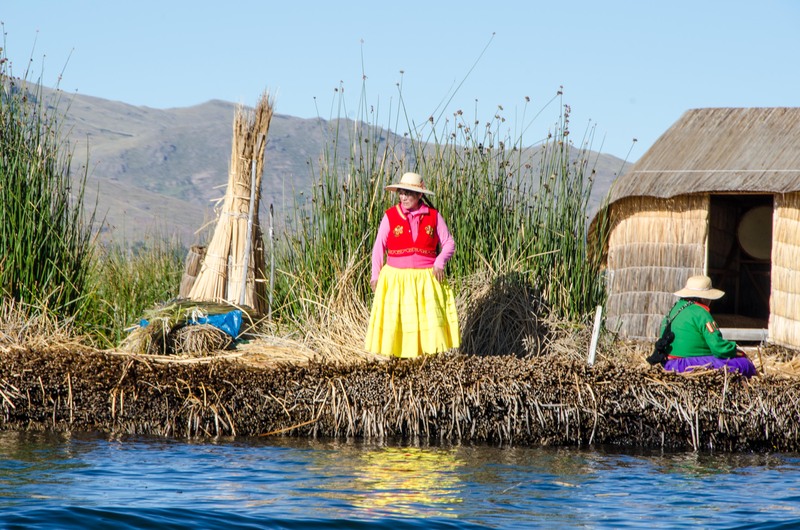 The scenery here is simply spectacular, as is the culture of the people living on the man-made reed islands of Uros and some of the best weavers in the world on Taquile Island. Surprisingly to many visitors who think of Peru’s Andes, nearly 60% of Peru is rainforest. Peru’s Amazon basin is easily accessible and is one of the most bio-diverse places on Earth. Jungle lodges range from rustic and budget to high-end luxury, and ultra-luxe river cruises are an unforgettable way to spend a few days. Spending 3-5 days here is a wonderful addition to any Peru itinerary. These mysterious lines impermeably etched onto the arid desert floor were only fully appreciated when the first planes flew over the area in the 1920s. 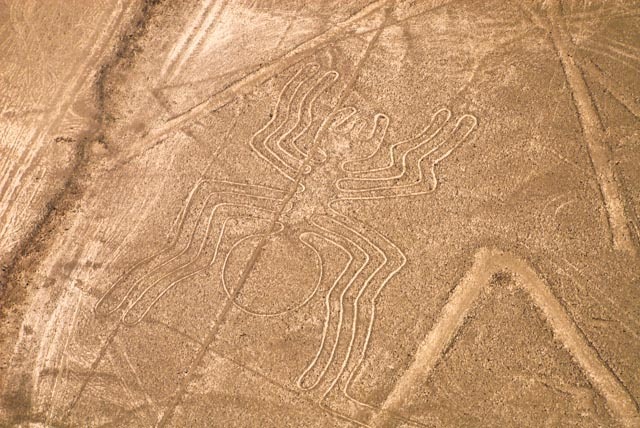 When viewed from the air, over 70 giant animal and plant figures, along with hundreds of straight lines, some as long as 6 miles cover a huge area of almost 400 square miles. This amazingly beautiful and impressive canyon is home to stone terraces for corn and potato plantations farmed by traditional Inca villagers dressed in colorful clothing, women herding alpacas, dressed in wonderfully bright embroidered skirts and hats decorated with sequins and ribbons, and most importantly, countless condors gliding in the thermals above. At several lookout points visitors can get surprisingly close to these huge birds as they rise on the lift generated by winds in the valley. 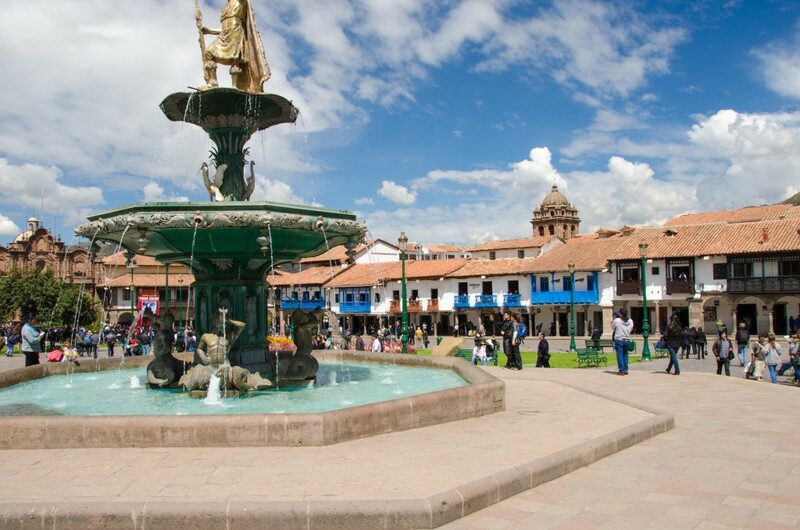 Living up to its Inca name which means ‘Navel of the World’, Cusco is the ancient capital of the Inca empire. No visit to Peru is complete without a visit to this colonial city. Extremely proud of its Inca heritage, Cusco’s indigenous traditions live side by side with its colonial Spanish heritage in an alluring cultural blend or intertwining history. As the Spanish conquistador Francisco Pizarro marched into town in 1533, he found a city as developed as any in Europe, literally covered in gold. Today, Cusco is filed with many fascinating historical sites and it makes a great base for visiting the surrounding region. This hike through the Sacred Valley to Machu Picchu is an unforgettable experience. There are various options ranging from a one day hike to four full days of camping depending on the fitness level of the hiker, however all offer some spectacular scenery on this ancient pathway that was used by the Inca to reach Machu Picchu. The full four day trail passes over 30 Inca sites on the way and offers the most spectacular scenery, however it’s tough hike. The coastline of rugged cliffs overlooking the Pacific Ocean at Paracas is home to a stunning array of birds and marine life. The offshore Ballestas Islands are known as ‘Peru’s Galapagos’ due to their vibrant population of penguins, sea lions and seals, as well as hundreds of species of birds and dozens of species of sea mammals. For nature lovers, it’s a taste of the Galapagos at a fraction of the expense. Peru has something for everyone. Our luxury, tailor-made journeys of a lifetime give you an unforgettable experience into this beautiful, culturally rich and varied land. Visit the Peru page on our website for further information, or contact one of our travel professionals for a no-obligation, free quote.